Any shape, any size, any color. 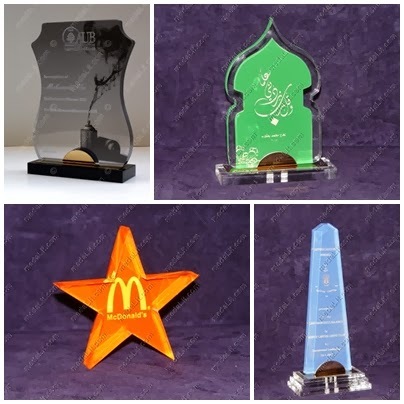 Absi Custom Shapes trophies are made of acrylic (Plexiglass) sheets, they take various shapes and sizes, and can be cut from a wide variety of colorful acrylic sheets. Every one of them can be uniquely personalized by your own message and logo. You can either give us your own design specifications or we can depend on your own guidelines to come up with a design that suits your taste and need. 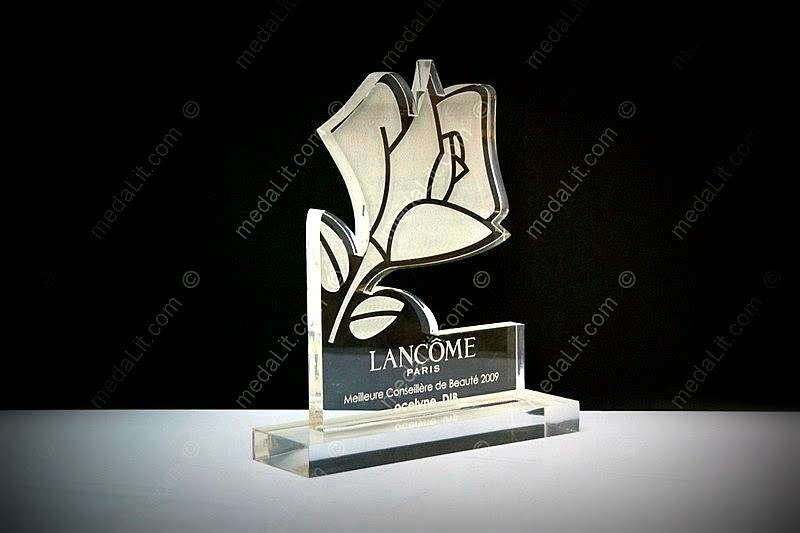 There are many different ways to implement designs onto your trophy, for instance you can choose to engrave text,outline some areas, shade others and you can choose to mount a medal or a plaque on it. All models are personalized by laser engraving your text and graphics. Save the message that you want to engrave in a text file and send it with your logo or graphics to our email address. Standard is crystal clear body. Wide varieties of colors in addition to crystal clear. Any design can be engraved. Standard is one body part, thickness is between 8 and 20 mm. Each part can be made of several layers. Any text and drawing can be laser engraved on the body. Engraved areas on clear acrylic appear milky white. Customer choose packaging to suit his requirements. Standard packing is a carton box.